By Tayana Simpson - Coordinating Editor · February 9th, 2019 at 4:02 p.m. The bigger issue at hand between the police and the Wet’suwet’en Peoples. If you haven’t heard of the pipeline controversy in BC in the last five years, you might have been living under a rock. BC has been the site of numerous situations surrounding oil pipelines, from Alberta boycotting wine to the city of Burnaby attempting to block a pipeline through bylaws. 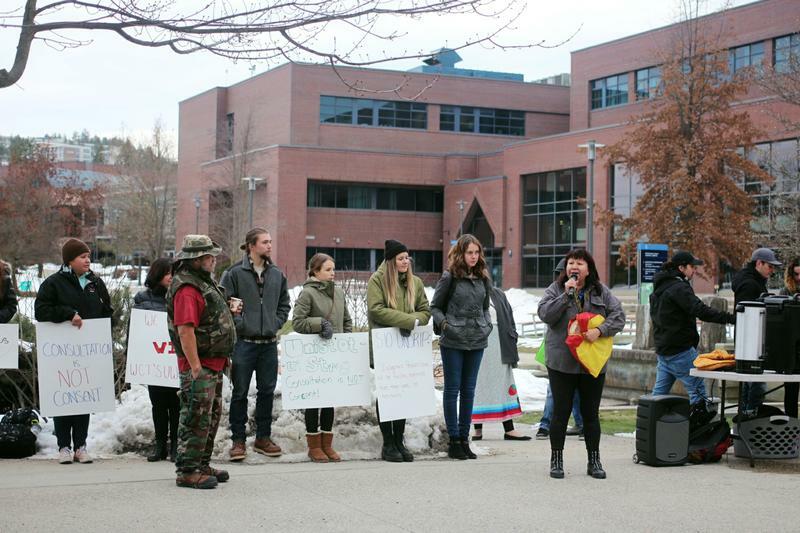 Now, the latest situation involves the police invasion of a longstanding blockade by the Wet’suwet’en peoples, and the subsequent arrest of 14 Wet’suwet’en protesters. The pipeline is Coastal GasLink, a pipeline intended to run all the way to Kitimat to be turned into liquified natural gas for international markets. In 2009, a barricade was built in the proposed path of the pipeline. Now, the camp, entitled Unist’ot’en camp, has several buildings, including, according to Vice, a healing lodge for those with addictions. Another camp, Gidimt’en, is further down the path, and was built to protect the larger Unist’ot’en. A police ‘camp’ was created nearer to Houston, the closest town to the blockades. On December 14 2018, the BC Supreme Court ordered the protesters to remove any and all blockades from the area within 72 hours. 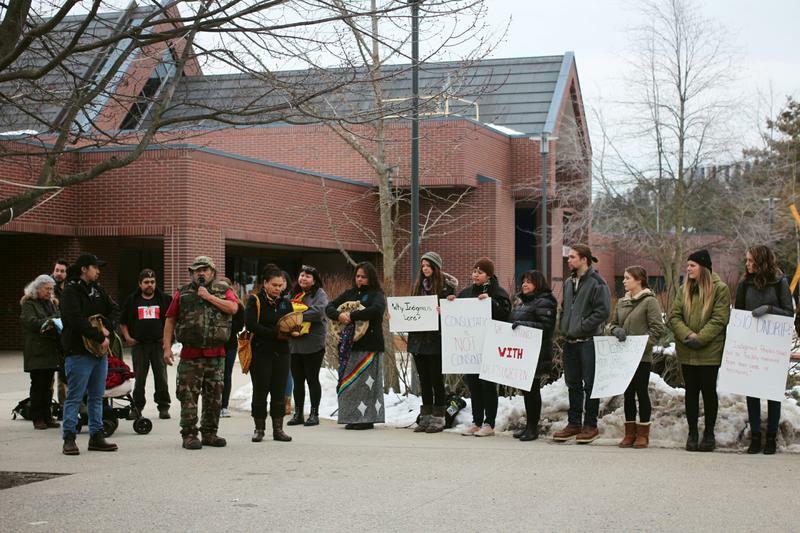 Early in January, the police breached the barricade at Gidimt’en and arrested 14 members of the Wet’suwet’en Nation. It was reported that officers were armed, used brutal force, and knocked people down. At the core of the issue is the much larger topic of Indigenous land rights, which Canada cannot seem to get right. The Oka Crisis, Site C Dam, and the other pipelines mentioned above all stem from the same core problem. Canada’s history involves forcibly taking land, and coercing land from Indigenous nations, and now the country doesn’t know what to do about it. We’d like to claim to be equal, and not racist, but actions like this prove otherwise. There is not really an easy answer to this. Canada cannot give the land back. But by forcing Indigenous nations to prove their right to their own land, they are dehumanizing and taking away their basic rights and culture. The breach of the blockade was more than just police knocking over a blockade and arresting protesters. It’s a micro issue that symbolizes the macro issue that Canada has little to no respect for Indigenous peoples, and that trade and oil (which isn’t even good for the environment but that’s a whole other issue), are more important than reconciliation.